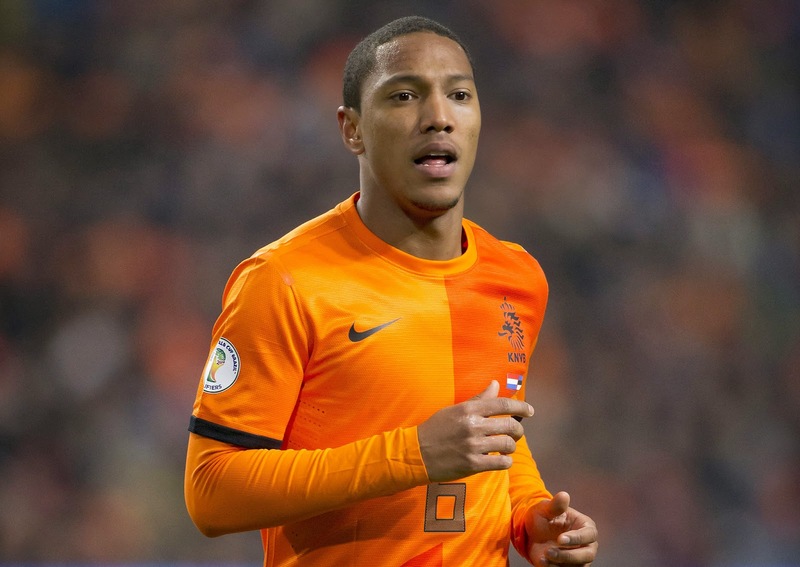 Home » Canada , Jonathan De Guzman , Owen hargreaves , Sydney Leroux , Women World Cup , womens soccer » Would You Change National Sides? Before I even delved into what was essentially a puff piece, the thing that really jumped out at me was the unbelievable tweet by @SBNation promoting the article proclaiming: "How @sydneyleroux became Canada's Greatest American." 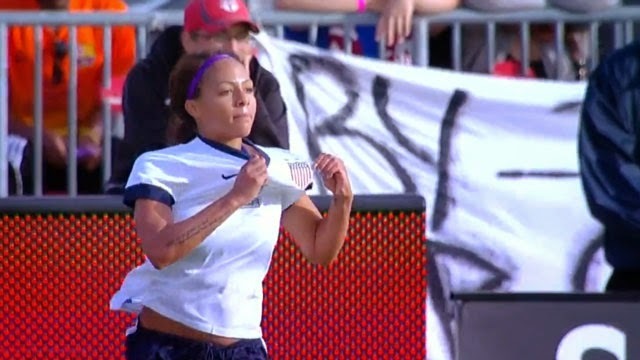 It was as if they were trying to be openly provocative towards Canadian soccer fans who are still quite bitter about how Leroux swapped the Maple Leaf for the Stars and Stripes. After playing for Canada as a 14-year old in the U-19 Women's World Cup, Leroux opted to take up the option of playing for the United States, as she was perfectly entitled to do as her estranged father is American, but the decision was met with considerable backlash in Canada. For her part, Leroux has been quite forthright about why she opted to represent a country other than the one of her birth. "I made the decision pretty young," she says. "I was 14 years old. I kind of just left and that was it. I saw the U.S. as the best team in the world and that's what I wanted to be a part of. It was purely ambition." 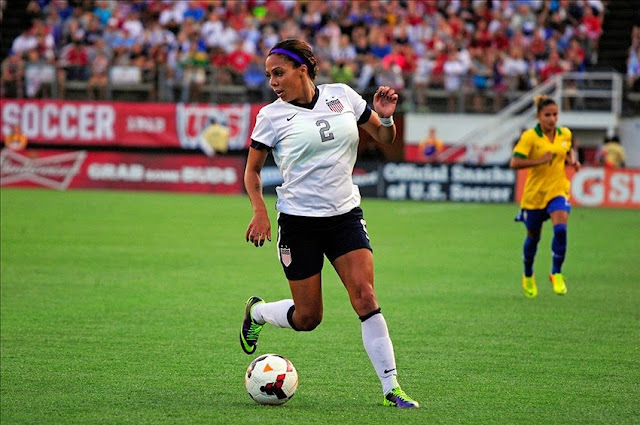 She did little to calm the situation after scoring against Canada in a friendly in June 2013 at Toronto's BMO Field, she ran over to the Canadian fans, who had been heartily booing her, hushed them and pointing to the U.S. emblem on her jersey. She later tweeted about receiving racial slurs, which she later clarified hadn't actually happened at the stadium. So to say that she'll receive a less than gracious welcome this summer in Canada during the Women's World Cup is an understatement. Her case is an interesting one though for countries such as Canada, that are not among the elite of international football, particularly on the men's side, and yet have many first or second generation immigrants that could potentially play elsewhere. 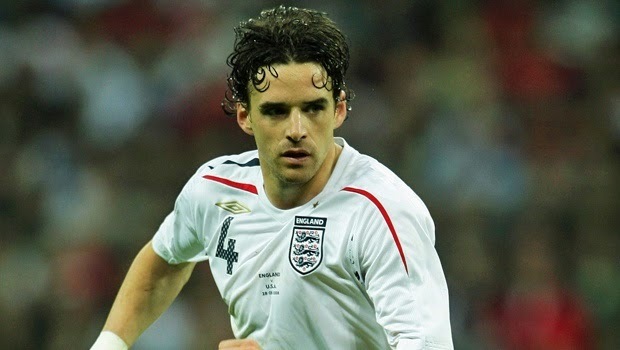 One such player on the men's side was Calgary born Owen Hargreaves who chose to play for England. Unlike Leroux, Hargreaves hadn't represented Canada at youth level and in fact had made three appearances for Wales U19 squad before committing to England in 2000. Hargreaves, who had an impressive career at Bayern Munich and, briefly, Manchester United before breaking down through injury did draw the ire of Canadian fans for turning his back on his homeland though. While the Canadian women's national side is not too far behind the American women's national side in terms of the FIFA world rankings, the gulf between England's men side and Canada's men is quite considerable. Canada hasn't qualified for a World Cup tournament since 1986, but Hargreaves got to take part in the 2002 and 2006 finals with England to go along with his appearance in the England squad at Euro 2004. Likewise, Scarborough's Jonathan de Guzmán is another player who could have represented Canada in recent years, but decided to obtain Dutch citizenship and play for the Netherlands. It's a frustrating situation for Canada, a nation that does not have a huge depth of talent, to see our players seek opportunities for other national sides. With both De Guzmán and Hargreaves playing for club sides in Europe, it's also conceivable that the hassle involved with having to fly across the Atlantic to play for Canada may have factored into their decisions. A question I've put to myself and friends though, is what would we do if we were in their situation? I was born in England, but emigrated with my family as a child to Canada and if I had made it as a professional player I could have had the option of playing for either country. The noble thing to do would be to play for Canada and try to achieve something in the country I grew up in, but the lure of playing for a bigger power in world football like England and likely playing in a World Cup would be hard to turn my back on. Many of my friends say the same thing, in that if they or their parents have come from a stronger footballing nation than this one, they would likely opt to not represent Canada. It's a sad reality that faces our national men's side at least and one that will only be addressed if the team improves and actually qualifies for another World Cup in the near future. When analyzing this though, it may in fact be why Leroux is disliked by Canadian fans with more ferocity than either Hargreaves or De Guzmán are because they joined sides that are ranked over 100 places higher in the FIFA World Rankings than Canada, while she joined a side that is only ranked six places higher than this one and she could have been a key part of her home nation's side this summer.